Enhance your Hen Party photos using these girly props, available for you to download and print for free! Simply print the PDF, cut out the templates, and stick them onto wooden skewers or even pencils. 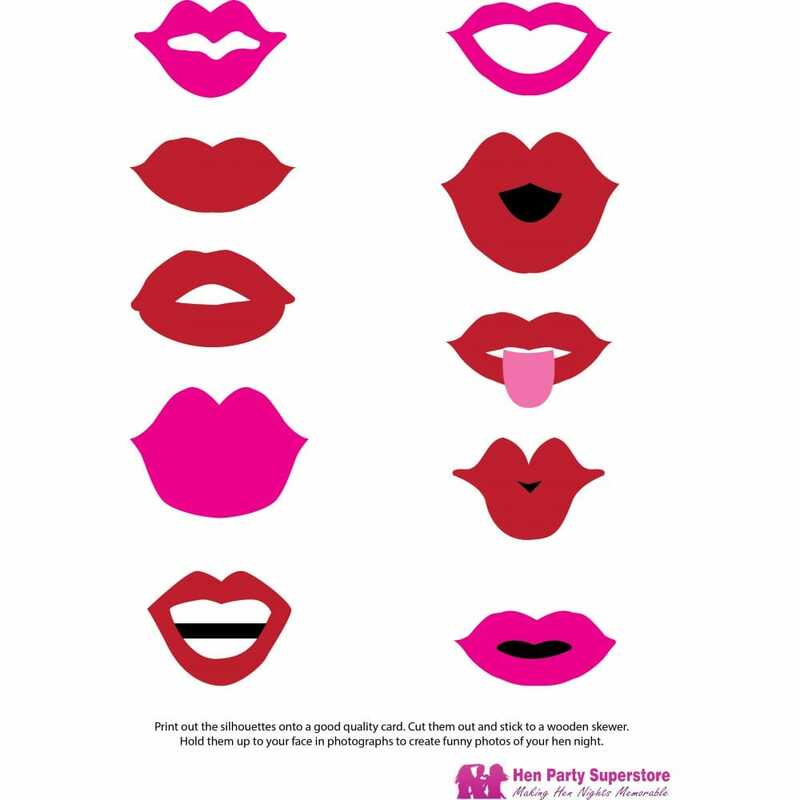 Use these lip templates as props in your photographs, for a photo booth experience at a much lower cost!